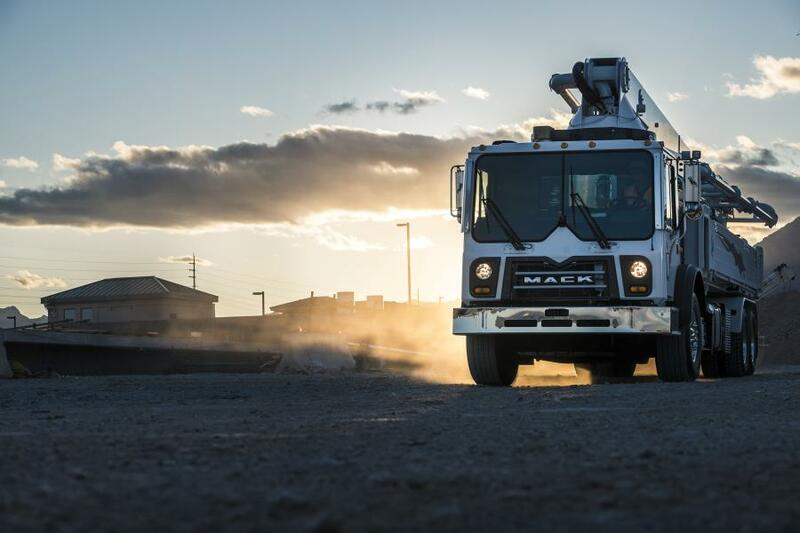 Mack Trucks’ will have six truck models on display — including two Mack TerraPro concrete pumper models — in Mack booth C5103 at World of Concrete 2019, Jan. 22 to 25 at the Las Vegas Convention Center. Mack Trucks will have six truck models on display at World of Concrete 2019, Jan. 22 to 25 at the Las Vegas Convention Center. The lineup includes four Mack Granite mixer models and two Mack TerraPro concrete pumper models. Mack also will highlight its industry-leading fully integrated powertrain, including Mack MP engines, Mack mDRIVE HD automated manual transmissions and Mack drive axles, as well as its extensive support for body builders, including a body builder support group and dedicated concrete pumper support hotline.